The confirmation letter for an interview is written to confirm the scheduled for an interview of the candidate with the organization. In this corporate world every single process and activity are formalized and recorded. 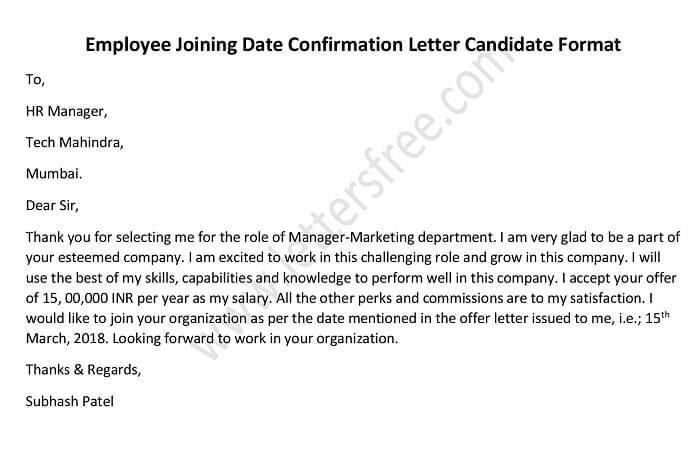 This confirmation letter is written on behalf of the management to confirm the interview of the candidate. This letter contains all the important details like date, time and venue for the interview process to take place. Generally, a company or an organization writes this letter to an applicant about confirming for an interview. A confirmation letter for an interview deals with many aspects of an interview process. A common sample is given to make your knowledge. I am writing this letter on behalf of the board and the management of Pagoda industries. The essence of this letter is to confirm your scheduled interview with our organization. As per our record, you have applied for the post of electrical engineer. We look forward to meet you on 09th June at new executive’s room. The interview will start at 8:00 am. You are expected to come along with all your credentials. I hope to see you on time.